Viewing 24 of 198 items. 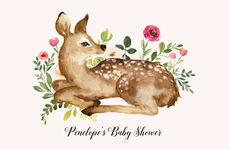 A Stationery Studio Exclusive! 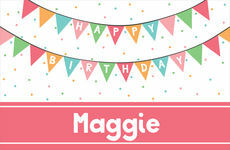 Make meal time extra fun with these happy birthday personalized placemats. These personalized placemats are available as individual laminated placemats or as a pad of 25..
A Stationery Studio exclusive! Make your table setting memorable these adorable placemats. These personalized placemats are available as individual laminated placemats or as a pad of 25 high quality..
A Stationery Studio Exclusive! Make meal time extra fun with these colorful placemats. These personalized placemats are available as individual laminated placemats or as a pad of 25 high quality..
A Stationery Studio Exclusive! Make your next meal time extra special with personalized placemats. These desert themed personalized placemats are available as individual laminated placemats or as a..
A Stationery Studio exclusive! Make meal time extra special with these beautiful personalized placemats. These personalized placemats are available as individual laminated placemats or as a pad of 25..
A Stationery Studio Exclusive! Make your next celebration extra fun with personalized placemats. These colorful personalized placemats are available as individual laminated placemats or as a pad of 25..
A Stationery Studio Exclusive! Make meal time extra fun with personalized placemats. These modern and trendy heart designed personalized placemats are available as individual laminated placemats or as..
A Stationery Studio exclusive! Make your Easter table extra special with these beautiful placemats. These personalized placemats are available as individual laminated placemats or as a pad of 25 high..
A Stationery Studio exclusive! Make meal time extra special with these floral initial placemats. These personalized placemats are available as individual laminated placemats or as a pad of 25 high..
A Stationery Studio Exclusive! These modern heart designed placemats are available as individual laminated placemats or as a pad of 25 high quality disposable paper placemats. Flat printed in ink..
A Stationery Studio Exclusive! Make meal time extra fun with these trendy birthday placemats. These personalized placemats are available as individual laminated placemats or as a pad of 25 high..
A Stationery Studio Exclusive! 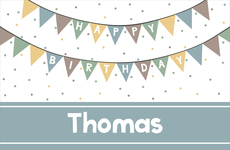 Make meal time extra fun with personalized birthday placemats. These personalized placemats are available as individual laminated placemats or as a pad of 25 high..
A Stationery Studio Exclusive! 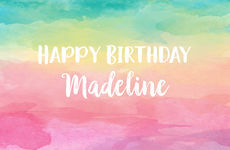 Make your next birthday table extra special with these trendy personalized placemats. 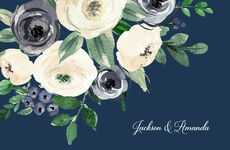 These placemats are available as individual laminated placemats or as a pad of 25..
A Stationery Studio Exclusive! 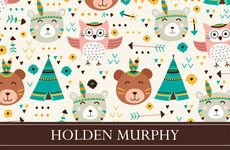 Make meal time or party time extra fun with these whimsical animal placemats. These personalized placemats are available as individual laminated placemats or as a pad of..
Personalized placemats add color and style to your table, whether you are entertaining at home or away. Our place mats are available as laminated in vinyl or as disposable paper style mats. 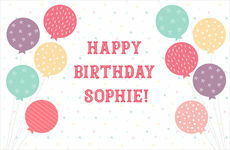 The vinyl mats are wonderful gifts for kids birthdays, for entertaining on boats, and for everyday use at home. The disposable style are available as a pad of 25 high quality disposable paper you can be proud to use at your next function. They are printed on heavy-weight water resistant stock on the front of the mat only and the back of the mat is unprinted. Your choice of personalization style. They are perfect for outdoor or indoor functions, from casual to semi-formal and we offer a range of designs which will accent your function. From a bridal shower to a birthday party for kids or adults, set your table with a color theme that's personalized, useful and fun.